Sharad Kumar belongs to Indian Police Service (HR: 1979). He was born in Bareilly, Uttar Pradesh on 28th October,1955 and is a Graduate in Science. 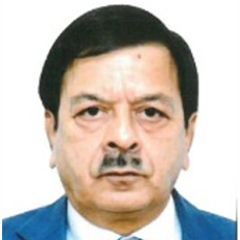 He joined as the Vigilance Commissioner, Central Vigilance Commission w.e.f. 12.06.2018. 1.Served as District S.P. of Gurgaon, Ambala and Rohtak. 2.Remained as Staff officer to DGP looking after Administration, Provisioning and welfare on different occasions. 3.Worked with CBI from July, 1990 to July 1999 as SP and DIG as Incharge Special Investigation Cell. 4.Investigated heinous cases across the country and supervised investigation of several sensitive and important terrorist cases in Jammu & Kashmir and successfully solved them. 5.Posted as IGP Rohtak Range twice for nearly three years. 6.Promoted as ADGP in November, 2007 and posted as ADGP crime. 7.Promoted as DGP in December, 2011 and Posted as DGP crime; thereafter posted as Director Vigilance Bureau. 8.Director General National Investigation Agency from August 2013 to October, 2017. 9.Retired from NIA in October, 2017. President’s Police Medals for Meritorious and Distinguished services in the year 1996 and 2004 respectively.